Being the nice guy that I am, I like to keep you all updated on freebies, especially when they are gaming related. 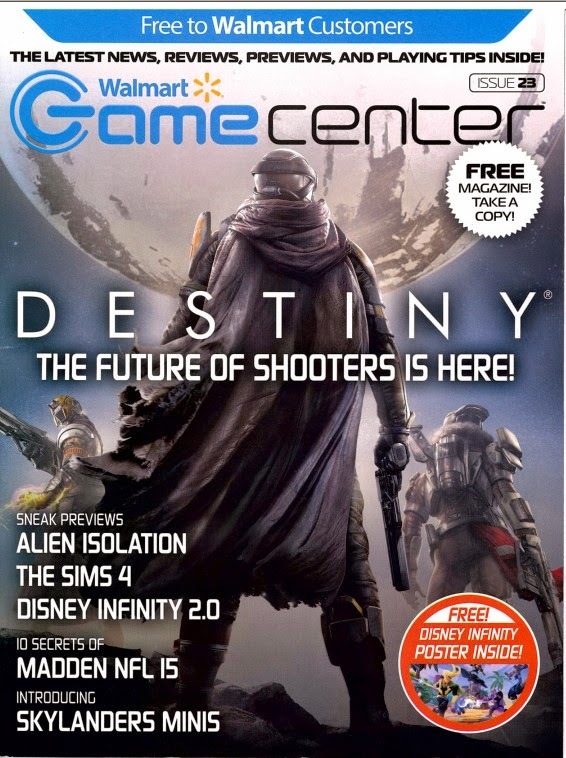 As Ive mentioned before, Game Center magazine is a free publication that you can pickup at your local Walmart, in the electronic section. Its completely free, and makes for a pretty good read while bored or sitting on the John. The latest issue also comes with a Disney Infinity 2.0 poster, which you or maybe your kids are a fan of. Either way, for free, its well worth the price of admission.